The principal use of the plant has been to treat gastritis, enlargemen of glands, inflammations of mucous membranes, herpes, and as a narcotic. The Arabs use the bruised leaves as an application to treat burns and ulcers, skin diseases and scrofulous and cancerous affections. In Dalmatian Croatia, the root was used to cure rabese, and is fried in butter and eaten to induce sleep. In Germany, the blossoming plant is hung over the cradle of infants to act as an hypnotic. According to several authorities, 1 or 2 grains of the dried leaves, infused in boiling water, act as a strong sudorific (causes sweating). 1.) 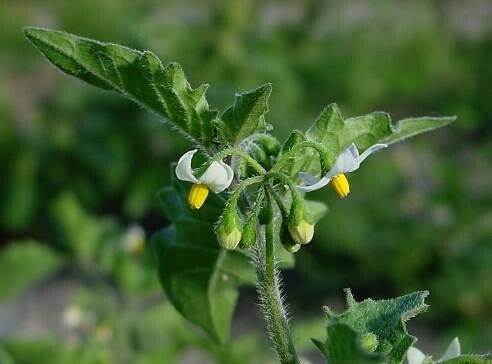 The juice of black nightshade is sometimes used to treat fever and alleviate pain. 2.) Its fruit is used as a cosmetic; as rubbing its seeds on the cheeks helps remove freckles. Children extensively eat the mature fruit. It has been used for diabetes as well. 3.) In Northern India, the boiled extracts of its leaves and fruits are used to alleviate the discomfort caused by liver-related ailments, even in jaundice. 4.) The leaves of black nightshade plant strongly promote perspiration, when ingested in small amounts. They work to purge the bowels the next day. 5.) The juice of the herb or an ointment prepared from it is externally applied to cure certain skin problems and tumors. 6.) A decoction of the stalk, leaves, and roots of black nightshade is beneficial for wounds and cancerous sores. 7.) Its berries are poisonous, but boiling them is believed to destroy the toxic substances and make them safe to be used for preserves, jams, and pies. 8.) 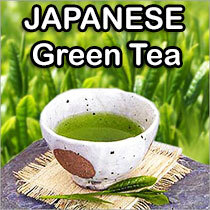 An infusion of the plant is used as an enema in infants suffering from abdominal upsets. 9.) Freshly prepared extract of the plant is effective in treating cirrhosis of the liver and also works as an antidote to poisoning by opium. Other Names: Garden Nightshade, Houndsberry, Kakamachi, Kakmachi, Long Kui, Makoi, Morelle Noire, Petty Morel, Poisonberry, Solanum nigrum.